1 What’s New in Nakivo Backup & Replication 7.4 Beta? What’s New in Nakivo Backup & Replication 7.4 Beta? Install NAKIVO Backup & Replication v7.4 Beta. Add a VMware or Hyper-V server to the inventory. Perform any of the three sets of tasks. Send the support bundle to [email protected] by March 30, 2018. Provide your feedback by filling out a short survey. NOTE: Use your business email to download the product, send the support bundle, and fill out the survey. Let’s review those features one by one and with more details. If important files are accidentally deleted, modified, or corrupted, you need to restore them as fast as possible. NAKIVO Backup & Replication v7.4 Beta can near-instantly restore files back to their original location right from compressed and deduplicated VM backups, without restoring the entire VM first. You can also restore files to a different location, download the recovered files, or send them via email. This feature works out of the box for Windows-based and Linux-based VMs. If disaster strikes and your virtual infrastructure goes down, fast recovery is of the utmost importance. NAKIVO Backup & Replication v7.4 Beta features VM failover jobs, which can automate and simplify the VM disaster recovery process. The VM failover jobs include re-IP and network mapping rules, which ensure that recovered VMs can function normally at the DR site. This makes the failover process automated, seamless, and entirely effortless, even in large environments. 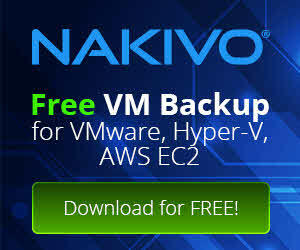 NAKIVO Backup & Replication provides image-based backup for AWS EC2 instances. With v7.4 Beta, you can you save up to 1,000 recovery points per protected EC2 instance. You can keep AWS EC2 instance backups in the cloud or send them to an on-premises location. By storing backups outside the cloud, you ensure that you can recover even if your AWS credentials get compromised or if there is an issue with your current cloud infrastructure. NAKIVO Backup & Replication v7.4 Beta includes the Self-Backup feature, which automatically back up the entire product configuration, including jobs, inventory, and all other settings. Self-backups are automatically sent to your backup repositories. Thus, if there’s something wrong with the VM running NAKIVO Backup & Replication, all you need to do is reinstall the product, import a backup repository, and select a recovery point. Your settings are instantly restored, saving you time and effort. NAKIVO Backup & Replication was designed to be fast, and transfers data at the maximum available speeds. However, if your networks are already loaded at the time of VM backup or replication, you may want to limit the speed of data transfer. This is where the new Bandwidth Throttling feature can help. NAKIVO Backup & Replication v7.4 Beta provides the ability to set speed limits for your jobs. This way, for example, you can restrict a backup job to 50 MB/s. Finding a specific VM, backup, replica, job, or any other item in a large infrastructure can be a time-consuming task. NAKIVO Backup & Replication v7.4 Beta introduces Global Search – a powerful feature that can help you find and act on items in a matter of seconds. All you need to do is enter a keyword into the search box. Your search results are instantly displayed, and you can perform actions on the items directly from the interface, such as start recovery, add VMs to jobs, etc. The Flash VM Boot feature in NAKIVO Backup & Replication v7.4 Beta can instantly boot Hyper-V VMs right from compressed and deduplicated backups. There is no need to recover the entire VM first or perform any special setup. Flash VM Boot works right out of the box: just choose a VM backup, a recovery point, and a recovery location, then push a button – the VM is booted right away. 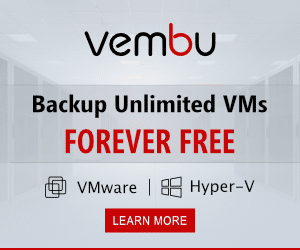 Creating a Hyper-V VM backup or replica does not guarantee that you can perform a successful recovery, because the backup or replica may turn out to be corrupted or not bootable. NAKIVO Backup & Replication v7.4 Beta provides an automated way to verify your Hyper-V VM backups and replicas in a matter of minutes. After a verification is completed, you can receive a report with screenshots of test-recovered VMs. Microsoft SQL Server records all database changes in transaction log files to ensure reliability and enable data recovery. These log files grow over time and can consume all available disk space, causing a server crash. The Log Truncation feature can automatically delete the log files on the source VM after a successful backup or replication to free up space and ensure uninterrupted operation of the server. Microsoft SQL empowers a variety of business-critical applications. If an SQL database becomes corrupted or if undesired changes need to be rolled back, recovery time should be as short as possible. The Object Recovery for Microsoft SQL Server lets you instantly recover Microsoft SQL objects (databases and tables) to their original location or a custom location. Getting help with NAKIVO Backup & Replication v7.4 Beta is now even easier, as the new version provides an integrated chat with Technical Support. Should you need any assistance, you can instantly contact technical support without even leaving the application. Nakivo Backup & Replication 7 Beta! Hyper-V Supported Now! Nakivo Backup & Replication 7 – Skip Swap File!